Prior to being elected in Massachusetts as US Senator, – she unseated Scott Brown in the 2012 election – Ms. Elizabeth Warren has always stated that she will be on the side of the working class. Well, most people who run for office always claim that their primary goals are to change Washington and fight for the middle class; when they get to Washington however, they sing a very different tune. Elizabeth Warren on the other hand is very different. Since she moved to Washington, she has been working tirelessly to implement policies that benefit the working class. One would think it should be a walk in the park, right? Not in Washington! Yet, Ms. Warren is not giving up; she understands that her job is to attend to the people business. She doesn’t need to convince anyone. Actions speak louder than words and we hear Ms. Warren loud and clear. I yearn for the day when Washington would be populated with many Elizabeth Warren. Her crusade at this moment is to reduce Student Loan Debt, a topic we should all be familiar with, we should all have an interest in. Irrespective of your political affiliation, what’s not to support? 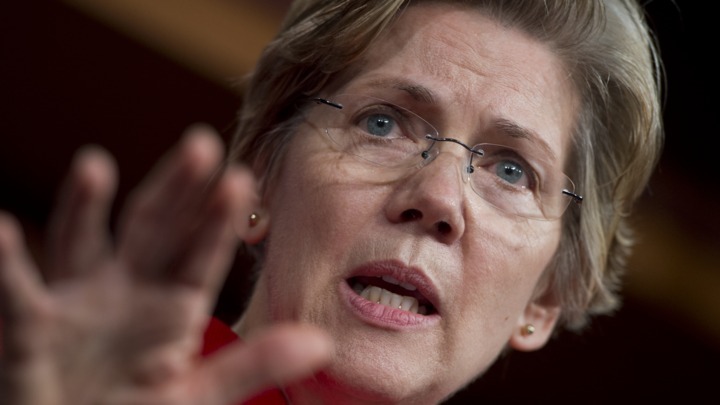 Read how Ms. Warren is working for all, democrats, republicans and independents alike.